Doctor Sleep, the upcoming sequel to The Shining, has just added another big name to its growing cast. 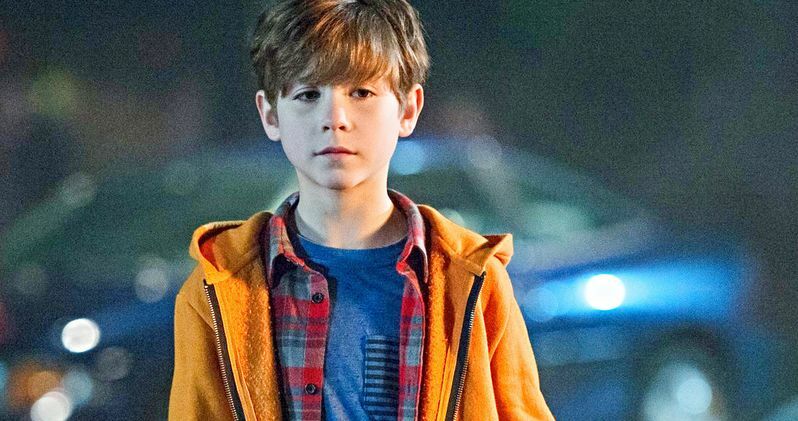 Jacob Tremblay, star of Room and this year's The Predator, has been tapped to star in director Mike Flanagan's latest Stephen King adaptation. Details haven't yet been made available in regards to who the young, rising star is going to play, but he did score a big payday for the role and there is one, fairly obvious guess as to who Tremblay could be playing. According to a new report, Jacob Tremblay scored a $100,000 payday for his role in Doctor Sleep. What's particularly remarkable is not only the actor's age, who has been on the rise in Hollywood and is still just 12-years-old, but it's also being reported that he will only be working for a few days on the production. That means he's likely only going to be in a few scenes, which not only makes the pay more impressive, but could help clue us in as to how Trembly is going to be used in the story. For those who may not be familiar, Doctor Sleep picks up years after the events of The Shining and was published by Stephen King in 2013. The novel sees a grown up Danny Torrence (originally played by Danny Lloyd) dealing with the events he experienced at the Overlook Hotel all those years ago. The plot sees Danny connecting with a young girl who also has the same power he has, while bringing in a strange cult of sorts that feeds off of people with their gift. Ewan McGregor has been cast to play the adult Danny Torrence, but it's quite possible Mike Flanagan could utilize flashbacks to show him at a young age after the events of The Shining. Enter Jacob Tremblay. The young actor certainly looks enough like the character to portray him in flashbacks and, as we've seen in Room and Wonder, the kid can really act. This is pure speculation, but it wouldn't be at all surprising to find out this is who Tremblay is portraying. Other cast members include Carl Lumbly, Alex Essoe, Kyleigh Curran, Zahn McClarnon, Bruce Greenwood, Alyn Lind, Jocelin Donahue and Mission: Impossible - Fallout star Rebecca Ferguson. Of note; Greenwood previously starred in Gerald's Game, Flanagan's previous Stephen King adaptation for Netflix, which was largely seen as one of the best adaptations of the author's work to date. Also of note, Jacob Tremblay previously collaborated with Mike Flanagan on Before I Wake, which was filmed in 2013 and was finally released by Netflix in 2017. There is no word on when production is set to begin, but Ewan McGregor is set to film Birds of Prey in early 2019, so it's likely Doctor Sleep, which is scheduled to arrive in theaters on January 24, 2020, will shoot after that wraps up. We'll be sure to keep you posted as further details on the project are made available. This news was originally reported by TMZ.